Fall is on our doorstep and it will soon be time to store your barbecue. 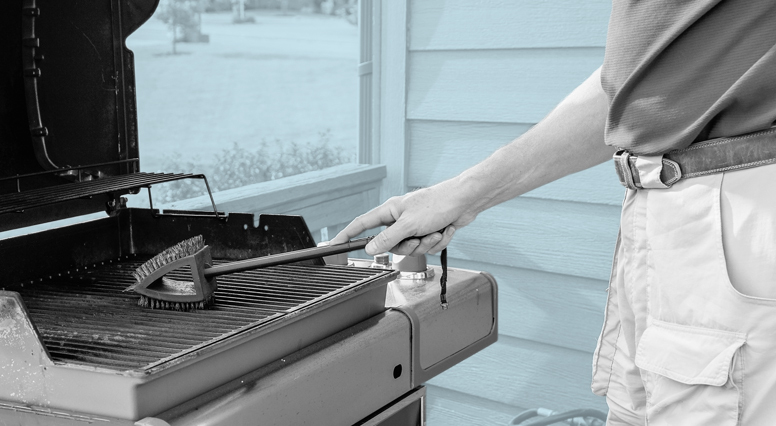 Learn how to clean your barbecue and tips for properly storing it during the winter. While some people grill year-round, others prefer to store their barbecue for the winter and bring it back out the following summer. If you are among those who do not use their barbecue during the winter, we have a few tips for preparing your grill for storage. The first step is to take your barbecue apart and clean the parts. First, clean the grills and burners with a degreaser and rinse with water. Then, clean the grill chamber with a degreaser and use a brush to clean the sides and remove any residue. Rinse the grill chamber out with water. Take this opportunity to check the condition of the burners. Once you have cleaned the various parts, it is recommended to reassemble the barbecue and to turn it on high for about 15 minutes, to eliminate any remaining residue. The important thing is to store your barbecue in a dry place. If you store it inside, you could store it, for example, in a heated garage. If you store it outside, ideally, you could store it on a patio or deck. Avoid storing it on damp ground, like grass. If you choose to store your barbecue outside, take the time to brush off the snow a few times throughout the season to avoid accumulation. What about the propane tank? Whatever the season, always store the propane tank outside, with the valve closed. Make sure the propane tank is stored in an upright position and always keep it out of children's reach. In the spring, make sure your barbecue is in good condition so that you can start the summer off on the right foot. At the beginning of each season, it is important to clean the barbecue and make sure the burners, hoses and tubes are in good condition. Then do a test to make sure the tubes and hoses are waterproof, by running soapy water over them. If bubbles form, make sure any leaks are sealed before using the barbecue.